Is Name Calling Verbal Abuse? What is considered verbal abuse? Is Name Calling Verbal Abuse? What is considered verbal abuse? Is Name Calling Verbal Abuse? What is considered verbal abuse? Verbal abuse often starts out subtle. A put-down here or there or a minor insult may be the first signs. Over time, it can turn into name calling and threats of physical harm. This post will tell you more about the cycle of verbal abuse, what happens to your relationship when your spouse calls you names, how to stop it-whether you’re the one doing the name calling or you are the recipient of name calling, and the good news. Name calling is one form of verbal abuse. Unfortunately, it occurs in many marriages and sometimes gets worse over time. Victims of verbal abuse may become desensitized to it as time goes on. Men and women alike can both be perpetrators. Their intent is to make their partner feel poorly about themselves and it is often used as a means to control the other person. Or, the perpetrator is very, very angry and is not aware nor does he/she have the tools for how to ask for what she/he needs instead of lashing out in anger. Chapter Three of our book, The Five-Step Action Plan to a Healthy and Happy Marriage is called Detox your Marriage. And it’s called that for a reason. Name calling, anger, criticism, and all of those abusive behaviors need to be removed and completely eliminated from a relationship. The relationship must undergo a detox. If you’re the one doing the name calling, you’ll need to begin asking yourself, “What do I want or need right now?” Underneath every frustration we experience, lies a request or an unmet need. What do you need from your spouse? My children were fighting the other day and my wife stopped them and said, “Stop fighting and ask for what you want.” The bottom line is that you are angry and calling your spouse names because there is something from your spouse that you are not getting. Asking directly for what you need is a much more productive way to get what you need. Find the request underneath your frustration. Nagging, blaming, shaming, or criticizing goes nowhere except to drive the other person away. 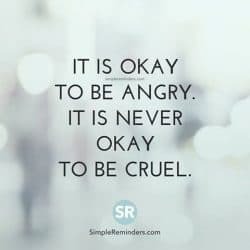 Anger is extremely powerful and can be very scary. But what about the “need” to get my anger out? There’s no such thing as “getting your anger out”. Anger breeds more anger, because those negative neural pathways in your brain get reinforced, causing us to get further stuck in the negativity. The good news is that our brains have neuroplasticity, which means they can change. New neural pathways can be formed and we can learn to experience each other in a different, more positive way. It may take time to change old habits that have been reinforced over time, yet by detoxing your relationship and practicing love infusions, you’ll be on your way to remolding your experience with your spouse to something positive. Once you identify your needs, you will begin to take responsibility for your feelings and speak about them in a mature way. When you use “I” statements, instead of blaming or criticizing, or shaming your spouse when you’re feeling hurt (I feel sad or angry instead of You always make me angry), you’re doing the real work that must take place in your relationship AND you are decreasing the potential for reactivity from your spouse. Try this first. It is possible for you ALONE to shift the energy of your relationship by detoxing your marriage. Even if your spouse is not willing to work on the relationship, the effort that you make in eliminating blame, shame, negativity, and anger will have a huge impact. As you remove the toxicity that you bring into your relationship, your spouse will begin to be more open to experiencing a new you. A toxic relationship is a vicious cycle where couples feed off on each other. Once one spouse stops the cycle on their end, there will often be no need for the other to continue spewing negativity as it is usually a reactive response in the first place. Whenever she is called names again, she may need to walk away to show her husband that she will no longer tolerate being called names. However, anyone who tries to stand up to verbal abuse needs to take their safety into consideration. Sometimes people who are verbally abusive are also physically abusive. It’s not always safe for someone to stand up to a perpetrator because they may increase the likelihood that they will be physically abused. In the case where your spouse is using words to control and manipulate rather than out of frustration and anger, you will need professional help as you cannot help he/she identify the frustration underneath the anger as it is much more complex than that. The best scenario would be for the two of you to talk with a couples counselor together to decide on your best course of action. However, if your spouse’s behavior begins to worsen and he/she starts abusing you physically, you first priority is to get safe. 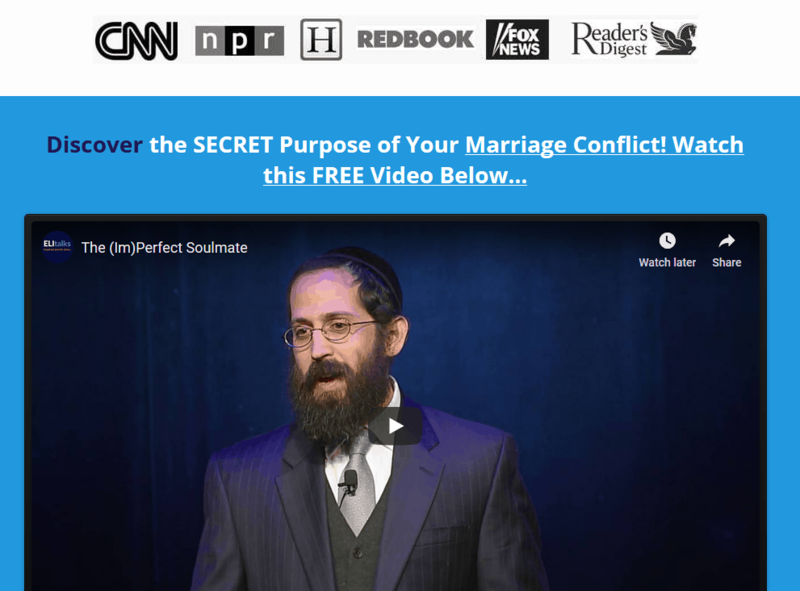 If you relationship needs a detox, we recommend that you register for our online marriage counseling via video chat, or enroll in our marriage school course. So many couples have reported real change occurring as soon as they began implementing the tools! So grateful! It is imperative that you stop the cycle before it gets worse. Stopping the cycle is much easier than you think, and we want to reassure you that you are not alone in this, there are many, many couples going through the same thing and learning how to stop the cycle. 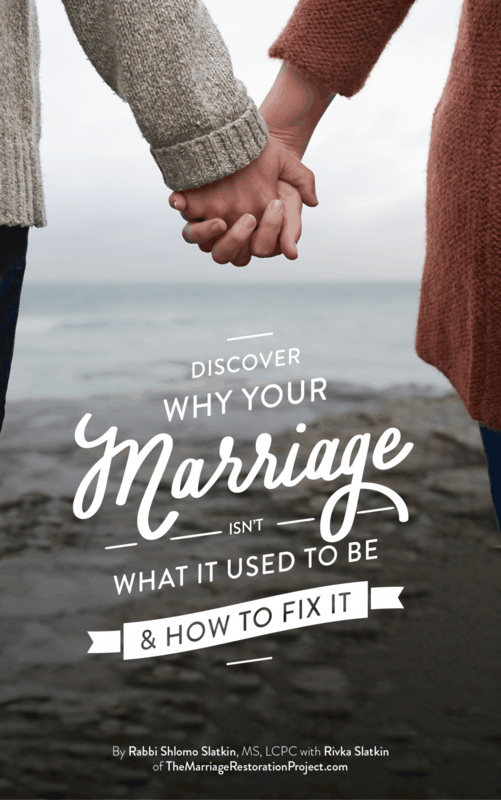 If it’s too hard for you to fix this issue on your own, talk with us about the 2 Day Marriage Restoration Retreat. 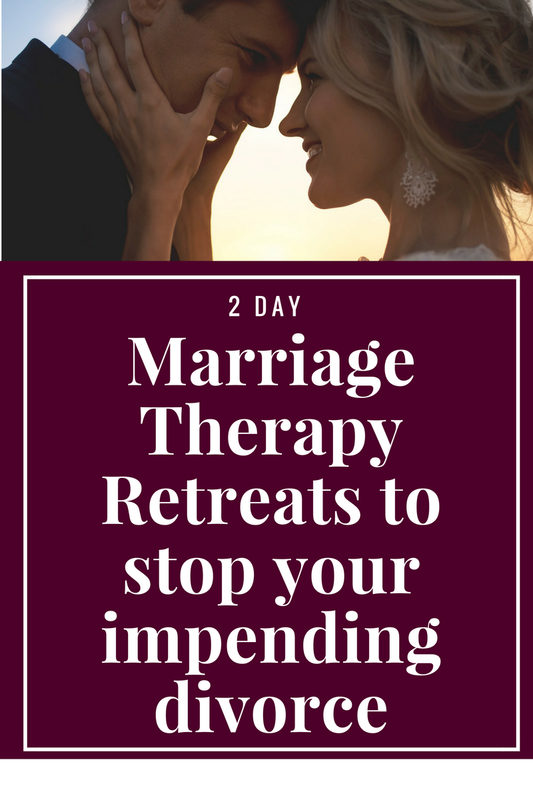 It’s a way for you to work in 2 days to solve the ongoing crisis in your marriage while having long term followup support to make sure the problems don’t continue. You can’t keep having name calling in your marriage.